A ß-LACTAM allergy is the most common suspected inhospital drug allergy, with an incidence of 5 to 17% in hospitalized patients and up to 35% in the surgical population at the preoperative assessment clinic.1–5 Thus, the team in the operating theater will be confronted with these patients when perioperative antibiotic prophylaxis is needed. Summary: A ß-LACTAM allergy is the most common suspected inhospital drug allergy, with an incidence of 5 to 17% in hospitalized patients and up to 35% in the surgical population at the preoperative assessment clinic.1–5 Thus, the team in the operating theater will be confronted with these patients when perioperative antibiotic prophylaxis is needed. Frequently, the consequence of a presumed ß-lactam allergy is that all ß-lactam antibiotics are avoided, because of the possibility of cross-reactivity, and an alternative antibiotic, e.g., clindamycin, vancomycin, or ciprofloxacin, is prescribed. This may be a short-term risk-avoiding strategy during surgery, but the long-term consequences are overuse of these agents and an increase in serious hospital infections by pathogens such as Clostridium difficile and vancomycin-resistant Enterococcus, with an accompanied rise in healthcare use and costs. 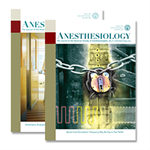 In fact, the overuse of non–ß-lactam antibiotics because of reported penicillin allergy has been labeled a public health problem.6–8 In this review, we provide an evidencebased and practical approach to patients with presumed ß-lactam allergy admitted to the operating theater and give guidance on the selection of alternative antibiotics based on cross-reactivity patterns.